Southampton and West Brom both had scouts at the Portuguese league match between Porto and Vitória Setúbal last night. What should have been a simple game for the Dragons ended up in a 1-1 draw, making things harder for them in the title race. Porto opened the score with Jesus Corona in the first half, but conceded an equaliser from João Carvalho after an unfortunate slip from the Brazilian defender Felipe. 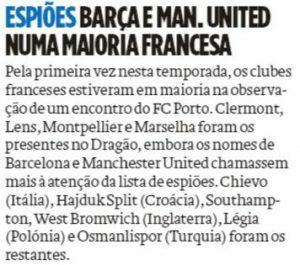 O Jogo, who reports the scouting list, doesn’t seem to have a clue which players the Premier League clubs were watching. Constantly scouting Porto, Southampton were said to have made an offer to the midfielder Sergio Oliveira in January. 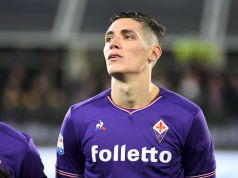 But the player ended up loaned to French side Nantes, so it’s unclear who their target was this time. West Brom, however, have an interesting situation. They were much linked to the Gent striker Laurent Depoitre last summer. The player moved to Porto, but his season really hasn’t been any good. Depoitre has managed to make only 12 appearances for the Portuguese side so far, and his last league game for them had been last year. That is, until last night, when he had the chance to play for four minutes. That obviously wasn’t enough for West Brom to take notes, but with the Baggies present at the Estádio do Dragão in the very same night when Depoitre gets a chance, that makes you think. Did they get a tip he would be playing?